Dell is better known for PCs than for being green, but in fact, the company has a number of initiatives under way that make it a leader in corporate social responsibility. Dell is well known for being a manufacturer of computers, but it’s less known for its achievements and commitment to operate in a socially-responsible way. But it should wear its green crown proudly: not only has Michael Dell personally expressed his commitment to being one of the preeminent, socially-responsible companies, Dell was named Newsweek’s 2010 Greenest Company in America. Today Dell released its 2011 Corporate Responsibility report, which is worth a read if you’re considering new ways to make your company more green. Below, we look at a few of the notable ways Dell is making strides in corporate responsibility. Last year, Dell began one of its more innovative pilot programs, to ship servers in mushroom packaging. This complements Dell’s innovations in the use of bamboo packaging. Mushroom packaging is a dense material tough enough to protect heavier products like servers and desktop computers. And, it’s easily composted after use. The mushroom packaging to cushion products is unique because it is grown and not manufactured in the traditional sense. Agricultural waste product like cotton hulls are placed in a mold which is inoculated with mushroom spawn. 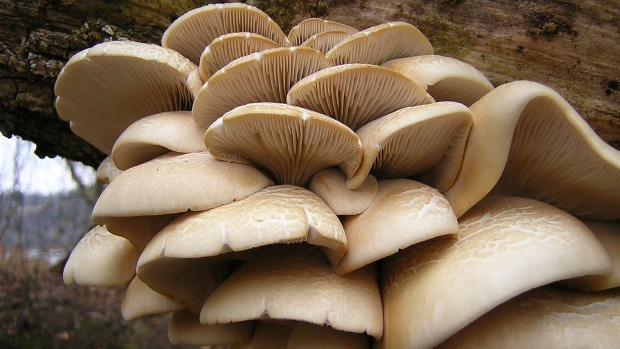 The mushroom cushions take 5-10 days to spawn, which take the root structure of the mushroom. All the energy needed to form the cushion is supplied by the carbohydrates and sugars in the agricultural waste. There’s no need for energy based carbon or nuclear fuels in the production of mushroom packaging, which is driving interest. Dell targets 1 percent of pre-tax profits toward programs that benefit education, health, and children. Dell’s giving programs help close the technology gap, support youth education, entrepreneurship and digital inclusion for underserved communities around the world. Some Americans have been critical of Dell for shipping jobs overseas into call centers and outsource manufacturing. While jobs have moved out of the Round Rock, Texas, headquarters, Dell has not reduced its footprint in Texas and, in fact, employs more, higher-paid knowledge workers than were in place before jobs were moved into new markets where Dell wants to grow its business. Dell employees outside the U.S. are really part of a global expansion strategy into new markets. Dell can’t move into countries without offering jobs in those geographies–each country wants Dell products as well as Dell jobs. Dell presently sells products in 160 countries.